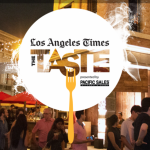 So Cal’s most provocative and exciting new restaurant and special eventproperty, Castaway, is ready to shake up the culinary scene in Los Angeles when it opens its doors tomorrow, May 3. With an award-winning team of chefs, designers and hospitality veterans leading the charge, every aspect of the restaurant is set to be new, bold and stunning. Perched atop a hill in the heart of Burbank, Castaway is ready for its close-up! Angelenos can expect to be titillated and surprised when they walk into Castaway, where every night is guaranteed to showcase high energy and excellent service against the backdrop of unmatched views of the surrounding valley. The compelling menus, nuanced interiors, memorable service and unobstructed views come together impeccably, thanks to a savvy executive team from some of the hottest spots in Los Angeles, Las Vegas and Miami Beach leading the way. With an emphasis on sourcing the best ingredients from the world’s most skilled farmers and suppliers,the culinary team at Castaway has created a seasonally-inspired, steak-forward menu offering interesting cuts of meat, a raw bar, vegetable-centric sides and build-it-yourself charcuterie boards. At the helm is Chef Perry Pollaci, whose previous stints include the seminal Patina Restaurant Group- owned Walt Disney Concert Hall as well as The Royce at the iconic Langham Huntington Hotel in Pasadena. Chef Pollaci will be found nightly at the highly coveted Chef’s Table, a 10-top set up that can accommodate groups small and large in a community table style and gives diners a behind-the-scenes glimpse into the Castaway world, with the ability to interact with and learn from the Chef while enjoying an intimate meal. Highlights from the menu include Cape Grim Steaks, Creekstone Farms Premium Black Angus andMishima Wagyu. Signature dishes include Point Vicente Calamari, Butcher Block Steaks, Charcuterie Boards and seasonal Vegetable plates. On Saturdays and Sundays, the Castaway expands to offer an à la carte lunch menu, which will also include extraordinary brunchy items for those looking to spice up their weekend the LA way. The à la carte lunch menu will feature signature items including Butcher’sBlock Steak and Eggs and a selection of Tartines on grilled rustic country bread. 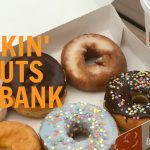 Brunch items include seasonal Eggs Benedicts all sorts of ways, Lobster and Waffles with masago tempura, French Toast with rum-roasted bananas and Shrimp & Grits. Add on mimosas and bloody marys and make it a party! Master Sommelier Candidate Paul Coker has curated Castaway’s innovative beverage program.Featuring local craft beers, an extensive wine list with more than 150 bottles, creative cocktails and punch bowls. The wraparound bar has a built-in tap system that will feature 10 beers on tap, eightdifferent types of wine on tap, and four cocktails on tap. Introducing “Tappy Hour,” Castaway will offerdiscounted wines, beers and drinks on tap every Monday through Friday from 4:00pm until 6:00pm in the bar and lounge. The 12,500-square-foot restaurant is completely design-driven. With the utmost care given to each element of the restaurant, the multi-level dining room is guaranteed to create a thrilling experience for every individual diner, no matter where they are seated. 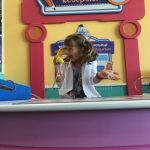 In lieu of a host stand, guests will be greeted by a concierge services desk with top notch managers available to guide guests through an unforgettable evening. All the exciting elements of the restaurants come together to create a night unlike any other! Guests can watch different cuts of smoked and dry-aged meats be sliced and boarded at the lively and active charcuterie station while enjoying a cocktail at the bar before their meal; sink into the booths sprawled throughout the restaurant; or observe a fully functional wooden wine cellar, stocked from the floor to the ceiling with decadent bottles of reds and whites. If that doesn’t strike your fancy, step ontothe multi-level patio to enjoy the unparalleled views and a perfect California sunset over a cocktail or shared plates. Perfect for an intimate date night, a large family reunion or a night on the town with your best friends, Castaway seats approximately 175 guests, with an additional 225 guests on the patio. 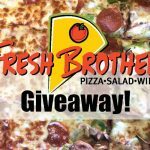 Fresh Brothers Pizza Will Open In Burbank Monday, May 8th, And I’ve Got A Fantastic Giveaway! 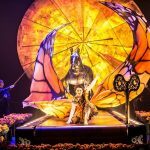 Cirque du Soleil’s ‘LUZIA’ Is At Dodger Stadium Through February 11th!